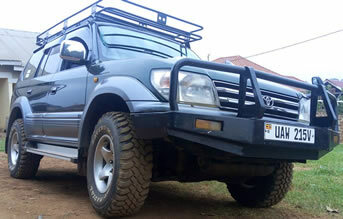 Experience the ultimate safari adventure in East Africa (Uganda, Rwanda, Kenya and Tanzania) in one of our 4X4 cars. Hire a Toyota Rav 4, Land cruiser Prado or Hilux and take a self drive safari into some of the world’s most impressive National Parks and wilderness areas in Africa, including gorilla tracking in Bwindi Impenetrable forest, Mgahinga and Volcanoes national parks. Our major business is a fleet of reliable 4×4 (4wd) cars, campers and recreational vehicles available for hire with or without driver. Driving your own adventure on a self-drive tour is a very economical, so interesting and exciting way to explore the many attractions East Africa has to offer in terms of tourism. Many of East Africa’s best National Parks and other attractions are only accessible by gravel roads and 4×4 (4wd) tracks, this is why a 4×4 vehicle is recommended especially in rainy seasons when roads are impassable. All the vehicles are carefully prepared and maintained by inhouse workshops and a thorough introduction to the vehicle and equipment accompanies each hire. Travel consultants are available to assist with route guidance and bookings 24 hours a day. 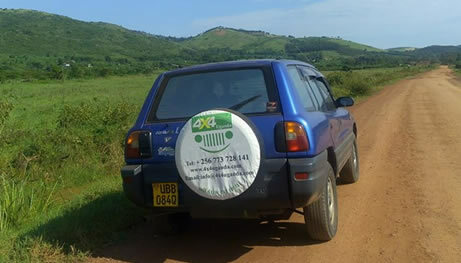 At 4×4 Uganda Limited, We offer tailor made self-drive safari bookings and guided / escorted tours to cater to your particular interests, time and budget.